It's tempting to think that since they're free you might as well list on every one of them. But when you first need to change some detail in your listing, perhaps the phone number, or a photo, or the rates, you realize that there is a cost to these free listings. Your time. 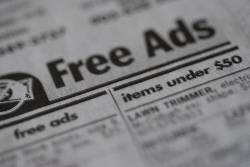 Direct - It's unlikely that a free listing site is going to advertise offline - TV, newspapers, etc. So you can pretty much discount this factor. Referrals - You can check on Google whether there are any links to a website. For example, if you search on Google for "link:homeaway.com" you can see that there are 472 results (some of these might be internal links - from homeaway.com to homeaway.com). If there are only a handful of results, then take a look at each page. Does it seem likely that prospective guests are going to find the listing site from those sites? Search - Lastly, and perhaps most important, are the search results. Most people looking for a Vacation Rental are going to type in one of the big name listing sites directly (e.g. vrbo.com or homeaway.com) or they are going to go to their favorite search engine and search for "beech mountain vacation rental". Unless the free listing sites returns in the first few pages for that search, then it's probably not worth listing. If you're not sure what keywords to test with, then read Using Google Adwords Keyword Tool for Vacation Rental SEO. The Search Engine Ranking tool from Mike's Marketing Tools is a simple way to quickly check multiple search engines. Type in the URL for the listing site home page (e.g. http://homeaway.com/) and type in the keywords you want to check (e.g. "Orlando Vacation Rental"). The numbers returned for each of Google, Bing, Yahoo and AOL show where the site ranks in the search results for those keywords. 1 is a the top, 100 is the 100th. If it returns "No", that no pages on that site ranked in the top 100 results. You can also use this same tool to tell how well your own vacation rental website ranks. It's worth knowing that the same search conducted from different locations can provide different results. So if there is a particular country or region that you are targeting then you can use Google Adwords Ad Preview and Diagnosis. This lets you see what someone searching from a particular location will see. I cover this in the article on How to market your Vacation Rental in other Regions. And if you're not sure what regions to check, then read How to predict where demand will come from for your Vacation Rental. This might seem like a lot of work. But keeping your listing information current on free listing sites can really become a pain. If a site has no links, and doesn't return into the top 100 results for any of your keywords, then it really isn't worth the time.